Hello my lovely readers. First of all i have to appologize for the way to long radio science. I went through a rather hard time in my life as a PhD student and it consumed me emotionally and physically to that point that i could not attend anymore to anything else. However, i now feel a lot better and this is largely thanks to a little trip me and the hubby took a good week ago. 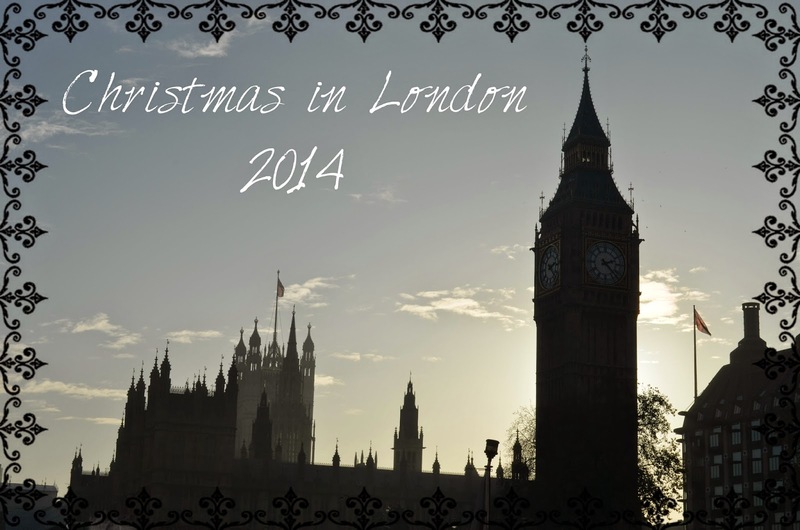 We went to London for christmas shopping and soaking up some christmas feeling. Suffice to say it was amazing. It took my mind of things and i found myself back. Most importantly i realized again that there a life outside of the lab and that mine happens to be amazing. But okay this is enough personal rambling. I went shopping in London but also had some amazing non-shopping experiences and i decided to not give all this juicy content away in just one post. I want to savor it. So over the next few posts i will share with you some of the amazing things i bought and amazing things i experienced in this most wonderful city of all. We only had 3 days in London so we aimed to make the most of it. We went with the Eurostar from Brussels to London within a short two hours. This train is amazing. Not only was it rather inexpensive, you also do not have long check in times and waiting for your luggage etc. You step out at St. Pancras which is right next to Kings Cross and you are ready to start your London experience. Obviously i had to be a nerd and i went to take a photo at platform 9 3/4 (Harry Potter). On Friday we went for a huge shopping trip. It was black friday and the offers were amazing. We went to Oxford street and i went nuts. We went with two small pieces of luggage and returned with another big sized luggage. For beauty i went to Boots, Superdrug and Selfridges and then obviously i went to Zara, Primark and many others. My husband was the best hubby ever and went patiently with me while i got matched for concealers, got a full make up done at the benefit counter etc. There was a lot of 3 for 2 or great gift set offers. While i was warned that Oxford street would be hell and especially on black friday i found it was okay. We also stopped at Lush which is a lot cheaper in Britain than in Belgium and stocked up on their christmas range (Snowfairy? not my scent..brrr). Saturday was our sightseeing day so we did Big Ben (see picture above). Westminster, House of Parlament, Downing street. We took a boat ride down the themse till Tower Bridge and the Tower of London. We then went to Harrods and watched the rich and famous shop. The rest of the evening we spend at Winter Wonderland in the Hyde Park. More on that in a later post. The Sunday we started of with a walk through Hyde Park where i had a conversation with a squirrel. We then went to Regent street to visit Liberty, Hamleys and the Apple store. We ended at Picadilly circus. From there we went to Soho and with a wink to Essiebutton to Bone daddies. Her favourite ramen restaurant in London (review incoming). We also had a little photo shoot done for some new couple photos. I will go more into detail on most of this things in a future post but i can summarize that i love London. It is amazing for shopping since it has such a wide range of offers. You can shop for a low budget up to "the sky is the limit" budget. You mix yourselve between tourists and millionaires in Harrods. The decoration is beautiful and all the sales people were amazing. Not once did i have the feeling that i got treated less because i was rather spending hundreds then thousands of pounds. London is so versatile. Arround every corner is something new and unexpected. This city seems to have millions of facettes and i have the feeling i just have started to discover a few of them. Also "the tube". This system is amazing. By the second day i felt so comfortable in London. Via the tube and my oyster card i could be anywhere in London within a few minutes. In fact i felt so comfortable in the tube that i feel asleep in it which is a big deal for a person like me. The food offers were amazing. No matter what food you like, London probably has it. In fact is was hard to come back from this wonderful vibrant city to home. I will give you a sneak peak at the beauty buys too. This is also a beauty blog after all :) And spoiler alert. I have not regretted a single purchase so far ;). I hope you guys will forgive me the long break and you enjoyed my little rambly outburst of joy about London. Do not worry, the next post will be fully beauty focused again. How has your december been so far? The Harry Potter pic <3 And wow! You bought so many lovely items! Those RT brushes are brillant! One of my favourit places! I allso love Berlin! Thanks :). I love all the products i got and for the first days i would just grab all the bags and go through them again before i lovingly stuffed them in my suit case to bring them safe and sound back to Belgium.